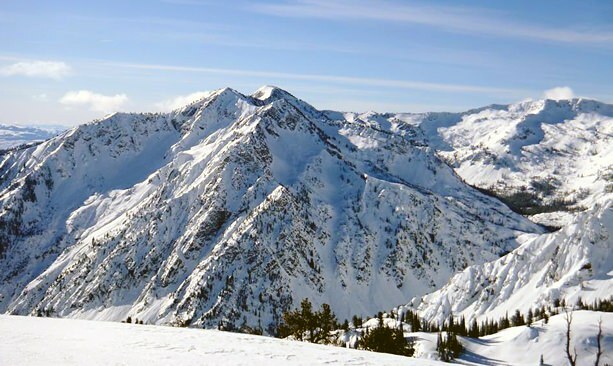 For serious backcountry skiers and snowboarders, Wallowa Alpine Huts provides access to the wide-open bowls, forested glades and snowy couloirs of the gorgeous Eagle Cap Wilderness. Winter in Eastern Oregon is a tapestry of rugged beauty — snow-covered mountain peaks, frozen lakes and frosty plains. And without the crowds of summertime, this part of the state offers unique opportunities for outdoor play in wide-open spaces. Kick and glide: Located just 20 miles west of La Grande in the Umatilla National Forest, Meacham Divide at the Mt. Emily Sno-Park has Oregon’s second largest Nordic skiing area, with more than 20 kilometers of trails. The eight trails in this system are groomed regularly from November to March, and are good for classic or skate skiing. Snowshoers can also access trails at the Mt. Emily Sno-Park. Cast away: Serious anglers can cast for the illusive winter steelhead on Eastern Oregon’s scenic rivers. 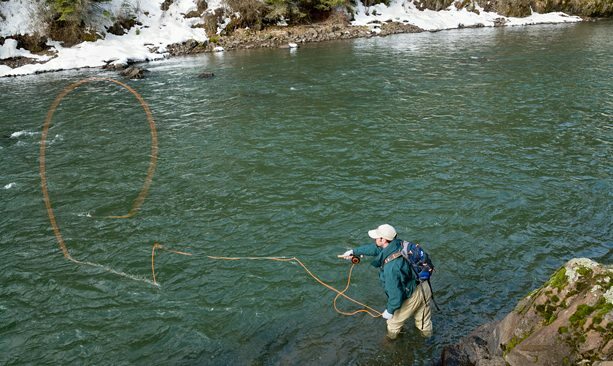 The Oregon Department of Fish and Wildlife (ODFW) recommends the Wallowa, Umatilla, Imnaha and John Day Rivers for mid- to late-winter steelheading (with some areas catch-and-release only). Visit the ODFW website for updates on river conditions, fish locations and regulations. 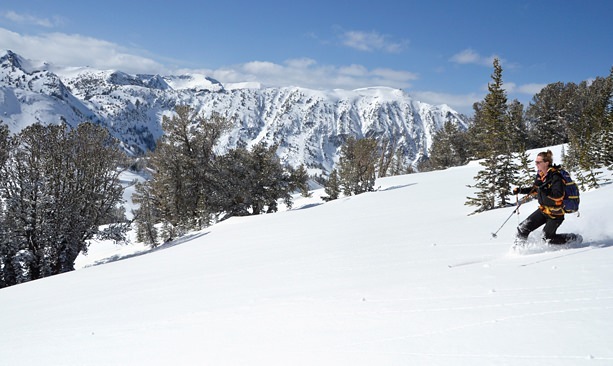 Off-piste: For serious backcountry skiers and snowboarders, Wallowa Alpine Huts provides access to the wide-open bowls, forested glades and snowy couloirs of the gorgeous Eagle Cap Wilderness. The huts are located at nearly 10,000 feet in the Wallowa Mountains (aka “Little Switzerland”), and are accessed out of the towns of Joseph and Halfway. Guided trips out of cozy yurts run four and five days. This powder paradise is one for the bucket list, but not for the faint-hearted. Wings in Winter: Eastern Oregon presents premier winter bird watching at locations like Ladd Marsh and McKay Creek national wildlife refuges. In addition to overwintering and migrating birds, like Pelicans, herons, cranes, geese, swans and raptors, refuge visitors are likely to spot other creatures like coyote, musk rat, and beaver. Check the ODFW page for winter birding updates.